"No man can serve two masters: for either he will hate the one, and love the other; or else he will hold to the one, and despite the other. Ye cannot serve God and mammon. " On this, our closing meeting, I will tell you, my friends, as promised, how, by the infinite grace of God, I learned to know the Lord Jesus Christ as my Saviour. I am thirty-seven years of age tonight. You look a little older than that, perhaps a man says; you have surely lived longer in the world than thirty-seven years. Yes, but I was like you - dead, while I lived. Young man! You have not begun to live unless you are converted. If you are not born of God, you have not begun to live; you are yet dead in your sins. I was dead for a good many years. I "now some of you think, that a man could not be converted in one night. That is a great mistake; it takes but one moment to pass from death unto life. It takes but one moment to go trough the door; and so I found it in my case. This booklet is interesting for two reasons. It gives us an insight into the gospel preachings held during the remarkable 1859-60 Revival. Also, it tells how W.T.P. 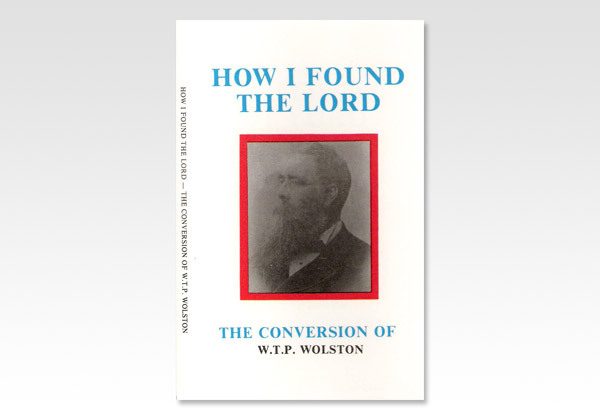 Wolston found the Lord. He soon began to speak to others about the Lord Jesus. In 1864 he moved to Edinburgh and in the midst of a busy practice as a doctor he found time to preach the gospel. He used to rent Halls and Theatres for this purpose, and for many years it is said he preached the gospel somewhere every day. He had a wonderful influence over young men. Many of his lectures and addresses are still obtainable in book form. So that, by means of the printed page, as well as public preachings and individual dealings. Dr. Wolston has been. through the grace of God. a means of blessing to thousands of both saints and sinners. The gospel of Christ is still the power of God unto salvation to everyone that believeth.